"I'm still optimistic, by nature, and I think we're going to get over the situation," he said. Mari Alkatiri spoke to Lusa in Perth where she is taking part, between now and Sunday, at the Asia Pacific Regional Conference, whose official opening will be attended by her Australian counterpart Malcolm Turnbull and German President Frank-Walter Steinmeier. During the visit Alkatiri has scheduled bilateral meetings with the German president, the Australian Prime Minister and Finance Minister, the Singapore Minister of Foreign Affairs and the presidents of Woodside Petroleum and Conoco Philips, among others. Timor-Leste has been under intense political tension since July 22 with Fretilin leading a minority government - in coalition with the Democratic Party - which controls 30 of the 65 seats in Parliament. The majority opposition - formed by the National Congress of Timorese Reconstruction (CNRT), People's Liberation Party (PLP) and Kmanek Haburas National Unity Timor Oan (KHUNTO) - announced the creation of a Parliamentary Majority Alliance (AMP) as an alternative to the Government. Last month they tabled a motion to reject the Government's program, which has announced in the meantime that it is preparing a new document which it wants to present to Parliament in conjunction with the Rectifying Budget "by the end of the year". If this program is again leaded, the Government falls and the President of the Republic has to choose between seeking a new government solution in the current parliamentary scenario or moving to early elections. Alkatiri insists that "there is no constitutional and legal basis, the AMP does not exist" since, he maintains, "any political-party coalition involves political-party leaderships" and, in the case of the CNRT, participation in this coalition implies "returning to its National Conference to contrary decision he made "after the elections. "This AMP does not exist, so when they go to the President of the Republic, they sign the 35 deputies. 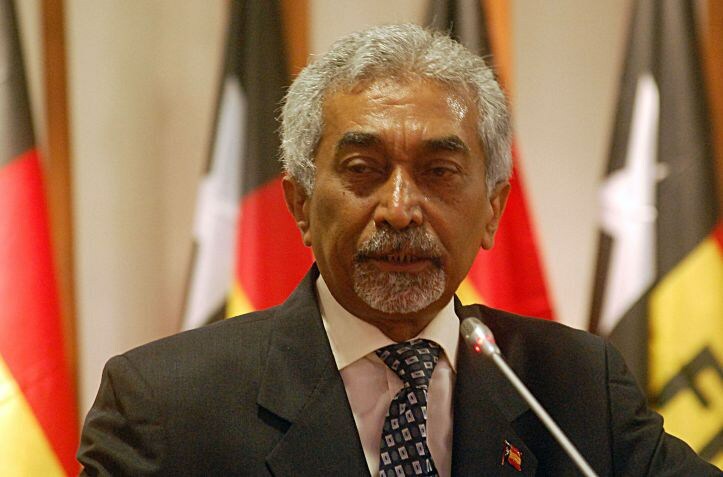 Xanana Gusmão [president of the CNRT] is out of the country and Taur Matan Ruak [PLP president] even though he was in Timor-Leste never signed anything, so there is no coalition, "he said. "And even if there is, the President of the Republic is not obliged to invite the second most voted party [to form a Government]," he added. Asked about Xanana Gusmao's position in the current scenario - the Timorese historic leader has been out of the country for several weeks and has made statements that do not fully clarify his position - Alkatiri admits that his position will be "decisive." "People are walking around to say that I lied when I said that Xanana Gusmao had guaranteed the viability of the Fretilin government if there were a coalition that would raise the number of seats to at least 30. And he promised, and it was not just me. He said that in the three-way meeting with the President of the Republic and in the last meeting between the two parties, "he said.